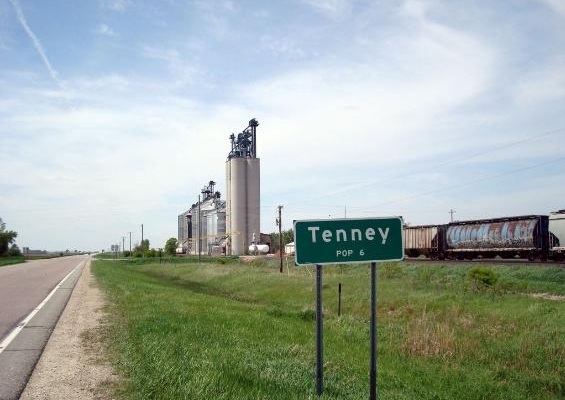 A majority of the town's voters -- there are only three of them -- decided to dissolve Tenney, which has shared the title of Minnesota's smallest city with Funkley. The votes won't be officially counted until Wednesday but City Clerk Oscar Guenther and Mayor Kristen Schwab said Tuesday that they had voted to dissolve the town. The other vote -- Guenther's sister -- was a no. "She voted that way because she knows how hard I've worked to keep the town alive," he said. Dissolving the city means that Campbell Township will take over the city's two buildings -- a church that was renovated into City Hall and another church renovated into a community center -- along with four vacant lots, Guenther said. He'd like to keep the two mowers and a weed whip in town to maintain the lots, but Schwab said that's unlikely. The little more than $10,000 in the city coffers also will be absorbed by the township. We're going to try to get some landscaping and culvert work done before that happens," Schwab said. According to the 2010 census, Funkley has a population of five.